Let’s say you are looking for a supplier in China to make your innovative product. You know that traditional sourcing agents are not the solution — they simply don’t have the ability to assist you with design reviews, engineering work, certifications, and so on. And you can’t justify setting up a company in China and hiring local staff — that’s a lot of extra expense. So, the choice often ends up being between a trading company (which will be your supplier, even though they don’t do the manufacturing) and a service provider (providing engineering and new product introduction services). First, let’s clarify this term. If you find someone who says “I can make sure everything works out well” and “we will give you a price, you will pay us, and we will take care of production etc.“, you are about to deal with a middleman. If they are specialized in one product category, they probably already know a factory that would be able to make your product. Things start out faster. They start working and providing service at the start without requiring any payment. Their business model is to earn money after a project has moved forward. Good traders are apt at making things happen. They deal with the haggling with the factory, they already know how to shape payments to keep leverage in their hands, and they handle all the pushing & screaming in China if things go wrong. If there is a serious quality issue, they often take responsibility, at least partially (whereas the typical Chinese manufacturer doesn’t). If the importer is given direct access to the manufacturer (that’s a big ‘if’ but you need to push for that), the trader acts as a commercial facilitator, while the buyer’s designers and engineers can go to the factory and discuss any technical issue. In summary, things can start moving quickly and the whole process can look like smooth sailing. This is what so often seduces buyers. However, as many people have learned, there are downsides too. An unknown amount of money is taken up by the trading company. They don’t separate (1) the pass-through expenses that go to the factory and (2) their margin. Sometimes it is way, way too high. Their business is appealing if, and only if, the buyer keeps ordering through them. However, many purchasers are tempted to “jump” directly to the factory and get better pricing (due to the previous point). To prevent this, many traders place production in factories with very weak communication… and with a low understanding of foreign buyers’ requirements. And that often leads to trouble. In case of quality issues, or in case they see the factory is doing something unethical (e.g. subcontracting, sharing IP too liberally…), they might not inform the buyer. Remember, they are the supplier and they only get paid if the order goes through. They are not the employer of the critical people at the factory who can make or break the order. I am guessing that 98% of the time, they are not the owner of the manufacturing entity. They have little control over what really happens! When something goes wrong, they might discover it late and be unable to steer the project back in the right direction. They might not be as close to factories as they say. If they are in Shenzhen and you want to develop a new type of mobile phone, it sounds great… until you find out that production ends up being in Guizhou province, where they send an employee every couple of weeks. Just like factories, sometimes they see they won’t be making a profit and they give up. Actually, the more customized your product (and the more development work there is), the more likely they are to drop the ball at one point. Trading companies were omnipresent in China 20 years ago. However, with all this in mind, one should not be surprised that their importance has dwindled rapidly. I have no real data here, but I’d guess less than 15% of all US dollars sent to Chinese manufacturers go through them, these days. What is the alternative to working with middlemen? If your project is simple, manage it yourself and use service providers when needed (a quality assurance agency, a freight forwarder…). If your project is relatively complex, and a lot of sourcing, development, and monitoring work will be needed, you either need your team on the ground or assistance from a hands-on service provider (see next section). Some companies can help set up & manage your supply chain, as well as support your new product development with technical guidance. The biggest advantage is, you are setting up your own supply chain and, if done well, this work will keep paying dividends for years to come. You are not building a house on sand. They will tend to orient you toward a reliable contract manufacturer if projected volumes are high, or a good OEM supplier. There is little incentive not to put your project in the best hands. A professional service provider will set things up in a way that gives you full transparency. Having full visibility on the BOM (Bill Of Materials) allows you to make decisions such as “this material is much cheaper, so let’s use it for version 2” without fear of price distortions by an intermediary. Similarly, you can go into a sub-supplier (e.g. the plastic injection factory, or the paint shop) and fix their process if they generate many quality/timing issues. A professional service provider will know his/her limits. Outside competencies, be they a design firm or a lawyer, can be brought into the mix. This is usually not the case of a trading company who will tend to say “no problem, we are used to handling all this” and might not do a good job. You can generally request them to give you regular updates and to follow a project management approach that makes sense for your workflow. If you already have software for this, you can request them to use it. You are getting all the information. You know about the difficulties and what was done to overcome them. You learn throughout the process. And, if you want to be alone in the driver seat (and stop working with that service provider), it is possible at any time. If on certain weeks, there is no work to do, they won’t invoice you anything (except if you agreed to pay a retainer). This is an advantage over hiring your own team. The amount of work needed is unknown at the start of the project (what if the first factory needs a lot of pushing and then gives up if a backup factory needs to be brought up to speed, if the purchaser piles on new requests, and so on?). It means budgeting is difficult at the start of the project. You will need to pay from day 1. Make sure you are working with people familiar with your industry and product, or you will waste time. Also, keep the scope of the first jobs small, so you can evaluate if they follow a solid process and if they are bringing you in the right direction. If things go wrong, they won’t take responsibility (this is similar to using your own team). They might be tempted to place 100% of the blame on the supplier. Look for people who propose solutions rather than complain about problems. 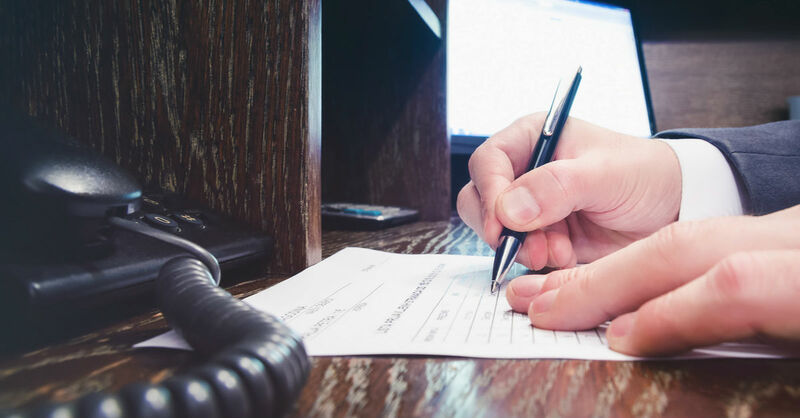 And, if they were way too optimistic in their predictions, will they invoice you for all the extra work they need to do for expediting things, or will they absorb some of these costs? Like any service provider, they can be tempted to bring in senior people to “make the sale” and to staff the project with junior employees. Do you already know who the project manager (probably your main contact) will be? The bottom line is, you need to qualify them as carefully as you would qualify a potential hire. How to qualify your potential service provider? I made a list of criteria to look at in this article. Now, what do first-time buyers think about all this? They are afraid of over-paying, they don’t know if the initial investment in laying out a strong foundation will really pay off (after all, what if their business goes under because the hot new product isn’t selling?). A number of our clients came to us after being disappointed by a trading company. I am not implying that it is always a bad proposition, but as the buyer, you need to aware of your alternatives and their pros and cons. I hope this article helped. Anybody has comments to share on this topic? Write it below and I will respond. 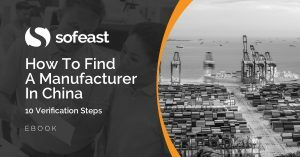 Are you wondering how to find a manufacturer in China who is well-suited to your needs and can also deliver on their promises?